Second check sum, which exclusively contains the values of the changed application parameters, shows at a glance what was changed. 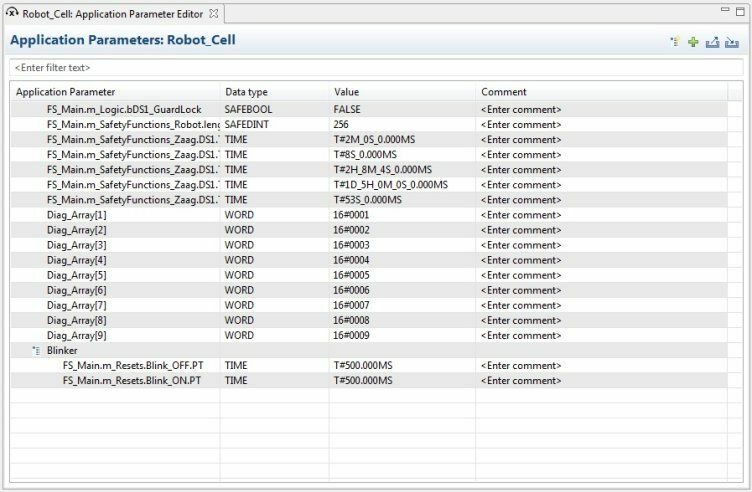 With the help of application parameters you can adapt your PSS 4000 projects to your plant's requirements, without having to change the user program. If you wish to adapt the PSS 4000 project to your plant's requirements you need to change the values of the application parameters and rebuild the project. If you change your application's parameters, the existing check sum "FS Project" will also change. When a change is made, one new feature is that an additional check sum is now created, which contains only the changed parameters. That way you have the opportunity to see the changes separately at a glance. This makes it easier to have your project re-approved. The new release also supports the new speed module PSSu K F EI CV-T.